Francisco Mejia stretched his hitting streak to 41 games with a solid single to center field in the seventh inning, but Lynchburg only posted four hits as a team to suffer its first shutout of the season, 4-0, at BB&T Ballpark Friday night. Matt Esparza (0-1) took the tough defeat in his Advanced-A debut after holding Winston-Salem to two runs on a mere three hits in six innings of work. The only two runs against him came on an opposite-field home run by Nick Basto in the first inning on a fly ball that cleared the low fence down the right-field line. Esparza entered as the Indians-organization leader in strikeouts with 109 on the season, and he added to that total with seven punchouts in six frames while only walking two. Nick Basto added a two-run single in the eighth inning to account for all four Dash RBIs. Lynchburg’s offense couldn’t solve left-hander Tanner Banks. The southpaw only conceded four hits in seven scoreless stanzas, striking out seven and walking a pair. Banks (5-2) earned the win, and Yelmison Peralta tossed the final two innings to complete the shutout and notch his third save of the season. The Hillcats failed to score in a game for the first time all year. Every other team in the Carolina League has been shutout at least five times in 2016. Conversely, Lynchburg also leads the league in shutouts as a pitching staff with 11. In the seventh inning, Francisco Mejia smacked a ball into center field to keep his hitting streak alive. His 41-gamer ranks as the 14th-longest streak in Minor League Baseball history across all levels. Mark Mathias, Nathan Lukes, and Paul Hendrix had the other hits for Lynchburg, all of which were singles. Lynchburg’s last shutout occurred September 4, 2015 against the Carolina Mudcats, a span of 108 games…Lynchburg is a combined 1-9 with runners in scoring position in this series after going 0-6 in this contest. Lynchburg sends Luis Lugo (7-3, 3.79) to the mound Saturday night against Thad Lowry (7-6, 3.85). First pitch is scheduled for6:30 p.m. 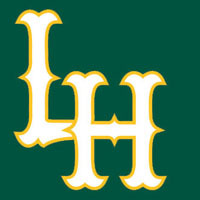 Fans can listen to the action on 93.3 FM and 1320 AM as well as www.lynchburg-hillcats.com, beginning with the Hillcats On-Deck Show at 6:15 p.m.